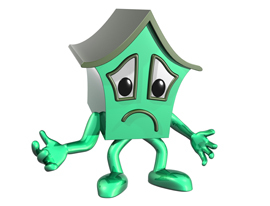 Unfortunately, homeowners who can barely afford their monthly mortgage payments or who are in foreclosure are in a very vulnerable position and can become easy prey for con-artists. Beware of companies offering “forensic audits” and promises of obtaining new payment terms for a mortgage or a receiving a loan modification. The Federal Trade Commission recently petitioned a U.S. District Court in California to shutdown a company that was allegedly offering pricey forensic audits together with claims that the company had a 100% chance that they would uncover violations of federal and state mortgage law that would entitle the homeowner to a mortgage modification or other relief. A forensic audit is basically a review of various loan documents, closing papers, correspondence from the lender, and foreclosure papers to determine if the lender violated any laws in providing the mortgage or enforcing payment of it. In our Long Island foreclosure defense practice, we regularly review such papers and documents to ascertain what defenses may be asserted in a foreclosure proceeding, but we do not make any promises or representations. However, some unscrupulous con-artists have been setting up shop under the guise of offering a forensic loan analysis. For over a year, the Federal Trade Commission has labeled these audits as a new twist on foreclosure rescue fraud. The FTC states that these so-called auditors, for a fee of many hundreds or even thousands of dollars, use half-truths and outright lies to sell services that promise relief to homeowners in distress. In particular, the FTC has said that there is no evidence that forensic mortgage loan audits will help a consumer get a loan modification or any other foreclosure relief, even if they’re conducted by a licensed, legitimate and trained auditor, mortgage professional or lawyer. It is unfortunate, but many of our clients come to us to defend them in a foreclosure case after having been taken advantage of by one of these unscrupulous companies. We do NOT offer forensic audits of mortgages, but do review all mortgage documents when we represent clients with defending a foreclosure on Long Island. Last week the FTC effectively shut down a very large operation based in California, as well as several websites that it operated which offered bogus relief. The companies were owned by Ryan Zimmerman and went by several names including Consumer Advocates Group Experts, LLC. 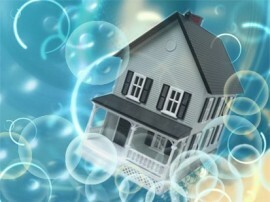 The FTC has advice for consumers about mortgage modification and foreclosure rescue scams. For more information see the website Your Home and the publication Forensic Mortgage Loan Audit Scams: A New Twist on Foreclosure Rescue Fraud. There are many types of debts that can be discharged in a Chapter 7 bankruptcy filing. Most consumers seek to discharge credit cards debts, medical bills, loans, etc. Some consumers have the Social Security Administration (SSA) chasing them down as well. This is because the SSA, after they paid benefits to a particular consumer, determined that they paid too much for one reason or another, and they demanded the consumer to pay the overpayment back. 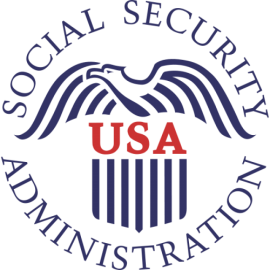 What happens most frequently is that the applicant, who was receiving Social Security benefits, goes back to work but the SSA continues to make payments. When the SSA learns that there has been an overpayment, it makes a demand that the overpayment be repaid within 30 days. These overpayments can add up to a sizable amount. Can this type of obligation be discharged in a bankruptcy filing? Yes. In general, Social Security overpayments can be eliminated by filing for Chapter 7 bankruptcy. They can be treated as typical unsecured debt in Chapter 13. Although claims owed to some governmental entities are entitled to special treatment in a bankruptcy filing, the Social Security Administration is not. They are treated like any other general unsecured creditor. That means that a consumer seeking Chapter 7 relief can discharge a debt owed to the SSA. However, all creditors have the ability to challenge discharge if it appears that the debtor incurred the debt through fraud or fraudulent pretenses. The SSA technically has the right to object to discharge if it appears that the debtor knew or should have known that he or she was not entitled to the Social Security benefits. That being said, I have never seen an instance of the SSA challenging discharge in my 25+ years of practicing consumer bankruptcy on Long Island. Nevertheless, it would be wise to consult with an experience bankruptcy attorney if you owe Social Security debt. Once a bankruptcy petition is filed, the SSA must immediately stop all proceedings to collect the overpayment. Not only is this statutory bankruptcy law, it is also SSA policy on bankruptcy filings. The concept of Robo-Signing exploded onto the foreclosure scene about two years ago when it came to light that mortgage companies and foreclosure attorneys were taking illegal shortcuts. Today, New York lawmakers introduced a bill that would make it a felony for mortgage servicer managers or their employees who commit foreclosure fraud. The bill, which was drafted by New York State Attorney General Eric Schneiderman, provides that mortgage servicers who “authorize, prepare, execute or offer for filing false documents in a pending or prospective residential foreclosure action” can face up to a year in jail and a $1,000 fine. In addition, multiple acts of robo-signing would be treated as a Class E felony punishable with up to four years in prison. As a foreclosure defense attorney on Long Island, I’ve seen many families’ lives crushed when banks brought improper foreclosure proceedings against them. We have been fortunate to have some of these cases dismissed. 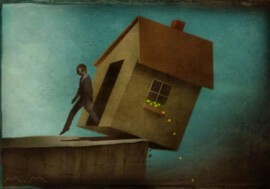 This legislation offers foreclosure accountability — a concept that has been duly lacking. The proposed legislation imposes a very stringent duty of accountability, something which barely exists with any teeth today. It appears that this bill, if enacted, will provide the strong criminal-law deterrent we need to prevent such abhorrent activity from continuing. Robo-signing describes the process whereby mortgage companies and their foreclosure attorneys sign numerous documents in robotic fashion without verifying the facts attested to in those documents. About two years ago, as the U.S. foreclosure crisis reached a head, it became apparent that robo-signing was a major and widespread problem throughout the country in a great number of foreclosure proceedings. I wrote extensively about this problem previously, and my law office has successfully used this as a defense in many cases. See Craig Robins Mentioned in New York Times Cover Story About Sloppy Foreclosure Lawyers Who Represent Lenders . See also Boston Globe article about Robo-Signers. Incidentally, Nevada enacted legislation in October which made foreclosure fraud a felony. As a result, the number of foreclosure filings in that state dropped to almost zero while banks and their attorneys made sure their cases were clean and correct. It would be nice to see lenders who bring foreclosure proceedings in New York make sure that there cases are 100% clean and proper at the time of filing. We recently filed a Chapter 7 bankruptcy case for an individual who was victimized in the largest mortgage fraud and ID theft scheme in Nassau County’s history. Nassau County’s investigation, dubbed “Operation: Sweet Deal,” involved more than 45 independent acts of fraud. District Attorney Kathleen Rice indicted 17 people in March 2011 for charges ranging from enterprise corruption and first-degree grand larceny to money laundering, identity theft and conspiracy. As our client’s recent Chapter 7 bankruptcy filing illustrate, the ripple effects continue. The masterminds, James Robert Sweet, 43, and Dwayne Benjamin, 44, both of Westbury, New York, lined up straw buyers, some of whom were duped, to buy homes in foreclosure claiming that such purchases would be a good investment opportunity. However, the scheme involved purchasing the properties at a higher price than what the seller was asking. Sweet Deal underhandedly arranged to keep the difference as part of the scam. In addition, they told the new purchasers that they would rent out the properties, collect rent from tenants, and make the mortgage payments; yet they intentionally did not make any payments. Sweet Deal thus walked away with the profits, stole the equity in the properties, left the purchasers in the lurch. Our client was just one of those purchasers who was deceived into getting involved with the venture. 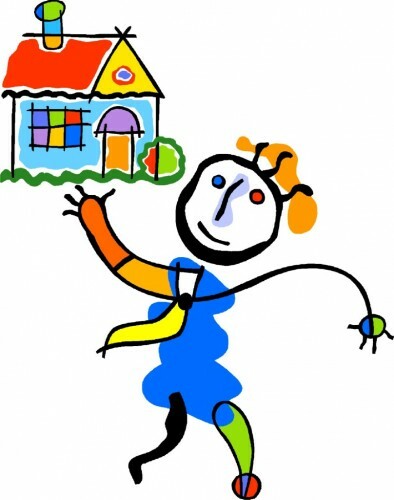 Unbeknownst to our client, after purchasing one property, Sweet Deal purchased a second and third property in our client’s name by using an impersonator. Our client only found out someone purchased these other properties in his name after the lenders got in touch with him, saying that he was delinquent. After our client cooperated with investigations by the Nassau County District Attorney and the FBI, he contacted my Long Island bankruptcy law firm to see what would be the easiest way to resolve the financial mess he was now in. Considering that he was now facing foreclosures on three properties, and also had other debt, we recommended Chapter 7 bankruptcy as a way to easily discharge his obligations (even if some of them he didn’t intentionally enter into) and get a fresh, new financial start. We filed his case a number of weeks ago and recently represented him at his meeting of creditors in Bankruptcy Court where the trustee examined him and closed his case. We anticipate that our client will receive his Chapter 7 discharge shortly, meaning that this financial nightmare will become history. Although there are many ways to resolve situations where an innocent consumer incurs debt as a result of identity theft, sometimes a simple bankruptcy filing is the best option, although getting the advice of an experienced bankruptcy attorney would be most important in making such a decision. Incidentally, the perpetrators of the fraud pleaded guilty to a variety of felony charges and are currently in prison. 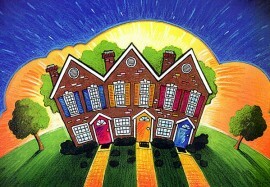 One of the most frustrating aspects of trying to seek a modification is dealing with the mortgagee. They will often ask for documents and then lose them numerous times. The representatives are less then helpful. The lender usually drags the process on. They don’t always act in good faith. Today, a story in Newsday about the difficulties one family was encountering in their quest for a mortgage modification highlighted another reason why it can sometimes be frustratingly difficult to obtain a mortgage modification — sheer incompetence of employees at the mortgagee. In this case, the employee didn’t know the difference between two simple legal terms. Newsday dedicated a full page to report on the plight of the Caceres family of Huntington Station. Mr. Geremias Caceres had been killed two years ago in a botched robbery attempt. Without his income, the family had great difficulty making the monthly mortgage payments, and to make matters worse, the value of their house dropped to $180,000 while they still owed $350,000 on the mortgage. The surviving widow, Blanca Caceres, just spent 20 agonizing months trying to negotiate a mortgage modification with their lender, IndyMac Mortgage Services, whose corporate parent is OneWest Bank, only to be turned down. Why did IndyMac turn them down? Because the widow couldn’t demonstrate that she was the “executor” of her late husband’s estate. However, she was the “administrator,” which for all practical purposes in the State of New York, is the exact same thing. When someone dies, and it is necessary to probate or handle the legal affairs of an estate, a court-appointed estate representative is necessary. That legal representative is usually the surviving spouse, and Mrs. Caceres did indeed apply to the Surrogate’s Court who duly qualified her as the estate representative, a fact that she demonstrated to IndyMac. as to what you are called. It appears that the Caceres family does not have an attorney who is assisting them, so Newsday stepped in, contacted IndyMac Bank, and persuaded them to re-open their file. I should also note that I wrote a number of posts in 2009 about how Suffolk County Supreme Court Justice Jeffrey Arlen Spinner lambasted IndyMac Bank for behavior the judge called “harsh, repugnant, shocking and repulsive.” See Judge Cancels Mortgage Due to Mortgagee’s Shocking Behavior in Long Island Foreclosure Action . It seems that now, several years later, IndyMac Bank still has not yet gotten their act together. Incidentally, Newsday also quoted me in a story about that 2009 IndyMac case: Long Island Bankruptcy Attorney Craig Robins Quoted In Newsday Article About Canceled Mortgage . “My girlfriend is thinking of leaving me.” This is a comment I hear repeatedly, in one form or another, quite regularly in my bankruptcy practice, when I counsel singles in serious relationships who suffer from debt problems. After all, who wants to marry into debt? Sometimes the thought of marriage drives lovelorn, debt-laden consumers to see me. Their significant other has given my client an ultimatum: Either you clean up your finances or I will not marry you! Those just starting to date will typically avoid broaching certain topics like how much money they owe on their credit cards. Of course, these facts tend to emerge as the relationship becomes serious — and then there are problems. This is a concept I recently discussed with Jennifer Gargotto who blogs about dating issues in her blog, MsMorphosi.com. We talked about this phenomenon at BlogWorld this week, a large conference and tradeshow for us bloggers. Fortunately, Chapter 7 bankruptcy often provides an escape from debt, and seeking bankruptcy relief when necessary can, and often should, be done before getting married. It is often easier to discharge debt while you are still single, and before you get married. Here’s why: The bankruptcy means test requires married individuals to calculate the income of both spouses to determine Chapter 7 eligibility, but it does not necessarily require a single person who is filing to include the income of a significant other. In addition, the Chapter 7 trustee appointed to a case is entitled to ask to see a non-filing spouse’s financial information. In most cases, a trustee would not seek such information from a non-married significant other. Determining family size for means test purposes can still be tricky, even for single consumers, and obtaining the advice of an experienced bankruptcy attorney is important. In any event, avoiding the additional burden and stress of debt when heading towards marriage can only make for a better, healthier and more stable relationship. 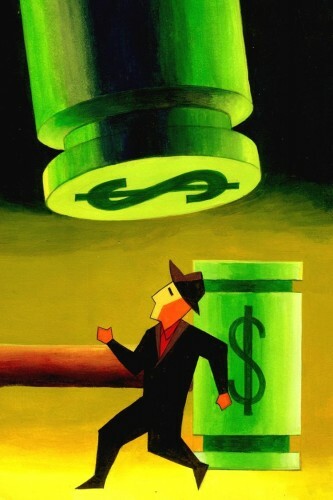 So if you have significant debt problems, consider consulting with a bankruptcy attorney now. And for those married couples with significant debt, Bankruptcy Can Save Your Marriage.